The Perseus 601X advanced mezzanine card (AMC) is designed around the powerful Virtex-6 FPGA, combining unsurpassed fabric flexibility and a colossal external memory, as well as benifiting from multiple high-pin-count, modular add-on FMC-based I/O cards. 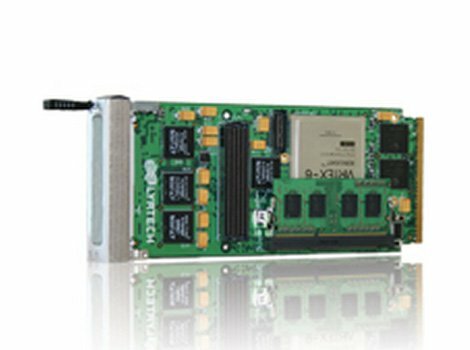 The Perseus 601X is intended for high-performance, high-bandwidth, low-latency processing applications. The card also takes full advantage of the Virtex-6 FPGA's power, which, when combined with Lyrtech's advanced software development tools, makes the Perseus 601X perfect for reducing size, complexity, risks and costs associated to leading-edge telecommunications, networking, industrial, defense and medical applications. On top this, the Perseus 601X's FMC expansion site (VITA 57.1) offers almost endless I/O possibilities.